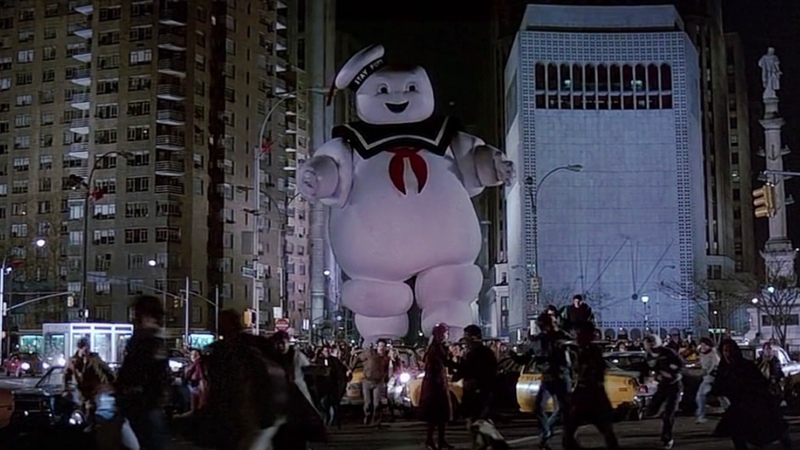 Contrary to Bloody Disgusting and Dread Central the Stay Puft Marshmallow Man is in the Ghostbusters remake. This wouldn't be the first time BD was wrong and I'm sure it won't be the last. 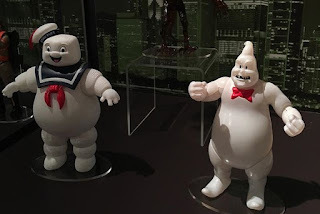 The ghost infect different parade floats and bring them to life. One of the floats is the Stay Puft Marshmallow Man along with a slew of other floats (Uncle Sam on stilts). Final Battle: Rowan asks "WHAT FORM DO YOU CHOOSE?" And Jones says out loud "Oh I think that spray painted ghost from the subway was cute!" and he turns into the Ghost from the ghostbusters logo. He gets bigger and expands as large as a tall building, busting out of it exposing the portal.